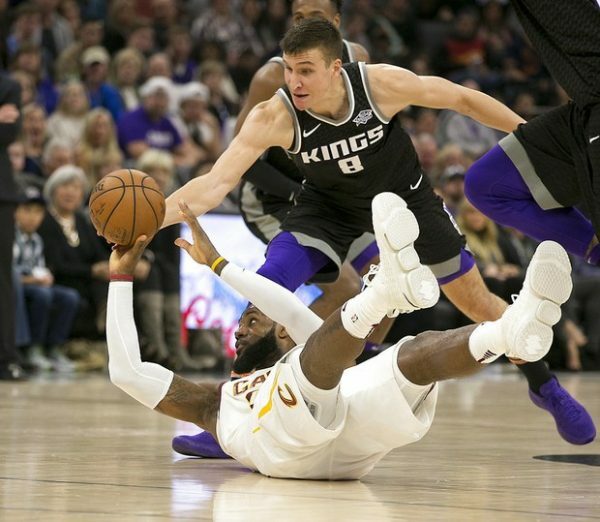 (Sacramento, CA) — The combination of inconsistent play throughout the game and a slow start in the final period doomed the Cleveland Cavaliers as they fell to the Sacramento Kings by a score of 109-95 at Golden 1 Center on Wednesday night. The loss marks the second straight loss for a Cavs team that hadn’t tasted defeat in consecutive games in nearly two months. Trailing by five to start the fourth quarter, the Cavs watched the Kings run off the first nine points to take a 94-80 lead with 8:37 left in the contest. Sacramento would eventually lead by as many as 17 at 106-89 with 2:20 left by connecting on 10-of-13 (77 percent) from the field. In contrast, Cleveland managed just 4-of-13 (31 percent) during that same stretch. 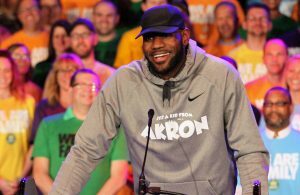 LeBron James picked up a triple-double with 16 points, 14 assists and 10 rebounds, while Kevin Love paced the Cavaliers in the scoring department with 23 points, adding five rebounds. The only other Cavs player to reach double figures in scoring was J.R. Smith, who finished with 15 points and six rebounds. Smith drilled a trio of 3-pointers during the fourth quarter. The Kings were led by Vince Carter, who will turn 41 next month. The veteran scored 24 points off the bench, with Sacramento as a whole handing out 25 assists. The Cavaliers maintained multiple seven-point leads during the opening quarter and led for most of the period. However, after holding a 23-18 lead, Cleveland watched Sacramento start a 20-8 run that extended into the second quarter and gave the hosts a 38-31 lead. Each team then followed with stretches of seven unanswered points apiece, with the Kings’ surge part of a 22-9 run that gave them a 60-47 lead with 3:35 to go before intermission. That run was bolstered by Sacramento connecting on 12-of-15 (80 percent) from the field to start the second period. The Cavaliers closed by scoring eight of the final 10 points of the half to make it 62-55 in favor of the Kings. 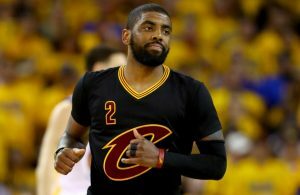 The Cleveland defense tightened up during those final moments after having allowed numerous points in the paint and seven 3-pointers. That effort included giving up just one score from the field in the final seven attempts by the Kings. 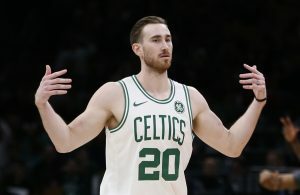 “Their bench was particularly good tonight and we just couldn’t keep up with their runs,” Love said. In the first three minutes of the third quarter, the Cavs connected on four 3-pointers, using that as part of a 19-7 run that gave them a 74-71 lead. Continued strong defensive play was also a part of that surge, but that defense lapsed once again and allowed the Kings to manage a 14-6 run to close out the quarter and head into the final period holding an 85-80 advantage. The Cavaliers close out their three-game Western road swing with a Saturday night matchup against the Utah Jazz. That game will tip off just after 8 p.m. ET and will take place on James’ 33rd birthday.